(NaturalNews) A recent study from the Mayo Clinic College of Medicine in Rochester, Minnesota, has found that rheumatoid arthritis is on the increase among Caucasian women. And the culprit is likely an environmental one, like vitamin D deficiency, rather than a genetic one. “It’s pretty unlikely that the genetic makeup of a population changed that quickly,” explained Dr. Sherine Gabriel, one of the authors of the study, in response to the likely cause of increase. And she is right, considering that cases of rheumatoid arthritis had been decreasing into the mid 1990’s. The study included data from the Rochester Epidemiology Project, which evaluated the medical records of people living in Olmstead County, Minnesota, since the early 1900s. 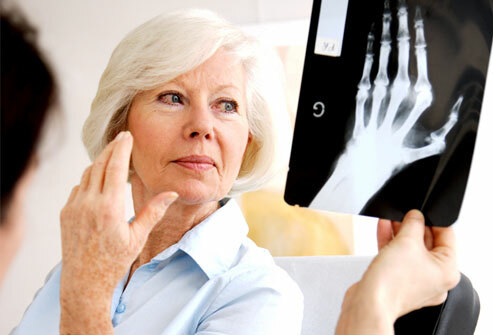 The findings revealed that in recent years, there has been a slight increase in rheumatoid arthritis cases among Caucasian women, following a period of steady decrease among the entire population since the 1950s. Smoking is commonly associated with causing rheumatoid arthritis, and since women have generally been slower at kicking the habit, researchers are hypothesizing that perhaps this has something to do with why rates among women are increasing. “Women were sort of slower to pick up that bad habit, and they seem to be a little slower to drop it,” she explained. Another hypothesis is that the composition of female oral contraceptives has changed over the years. According to Gabriel, oral contraceptives used to have far more estrogen in them than they do today, which provides a protective benefit against rheumatoid arthritis. So, with less estrogen, there is less protective benefit. But perhaps the most likely cause is vitamin D deficiency, which has been increasing recently, especially among women. Vitamin D plays an important role in protecting the body from disease, including maintaining bone and joint health. People who don’t get enough of it are at a much higher risk of developing diseases like rheumatoid arthritis than those who maintain optimal levels. Gabriel suggests that women who smoke stop the habit, and that women in general get their vitamin D levels checked. Together, these proactive steps should help to stave off serious diseases like rheumatoid arthritis. The best way to get vitamin D is through sunlight exposure, but foods like oily fish and raw milk are also rich in the vitamin. Vitamin D3 supplements in the form of cholecalciferol are also a good option as well.